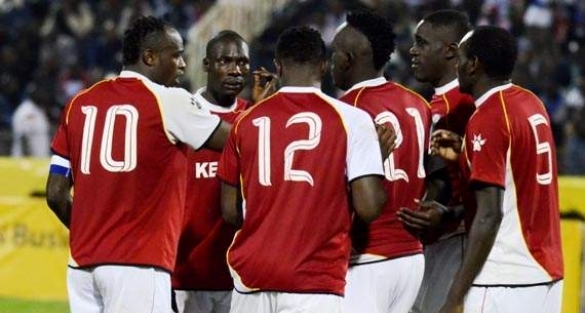 Defender David Owino scored the winner to give Kenya its first win of the qualifiers. The result also saw Kenya finish the campaign in third place in the group with six points, two ahead of bottom placed Namibia. Stars made the perfect start with the Gor Mahia defender volleying home the opener off a Francis Kahata corner. Namibia though settled down quickly and Stephanus Wily was only denied by the crossbar on 14 minutes. Handed a starting berth down the left, Aboud Omar was having a baptism of fire as the visitors targeted his flank. Coach Adel Amrouche decided to change things around on 36 minutes withdrawing Edwin Lavatsa for Allan Wanga. Back in the side after missing the last two matches, Dennis Oliech went close on the stroke of halftime but Namibian keeper Effram clawed out his powerful header. The Warriors dominated proceedings for most of the second half but were unable to find a final pass to match their approach play. Jakob Pineas wasted a glorious chance on the hour mark blazing over from 12 yards and a minute later, saw his shot deflected out for a corner. With Brain Mandela struggling with injury, Peter Opiyo was thrown into the fray on 65, with David Ocheing who had started infront of the back four, dropping in to partner Joackins Atudo in defence. 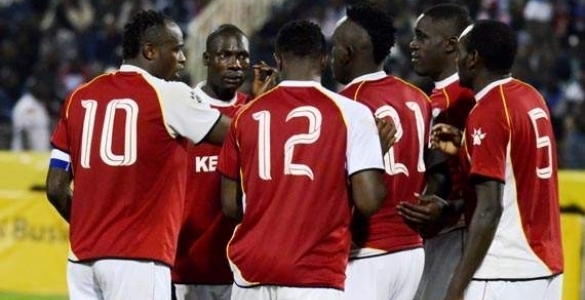 Playing on the counter, Stars had chances to finish off the content with substitute Wanga hitting the crossbar with a fierce shot 13 minutes from time. Oliech also wasted a glorious chance on 85 minutes when he was out through but he dithered and the chance was lost.